A chapter titled, “The Knowledge Loop”, personally took me back. It begins by explaining the parenting process, and its affect on a child’s learning process. While babies enter the world curious creatures, naturally inclined to perform experiments such as dropping spoons full of macaroni onto the floor, they are soon punished for similar actions. Instead of conducting such tests on their own, children are taught the “correct answer” and expected to remember it. Why can’t educators and parents encourage self-discovery? “Instead of promoting our innate curiosity and sense of wonder, our teachers constantly reminded us that we were not the first to discover anything.” In essence, students aren’t learning anything but simple memorization techniques. 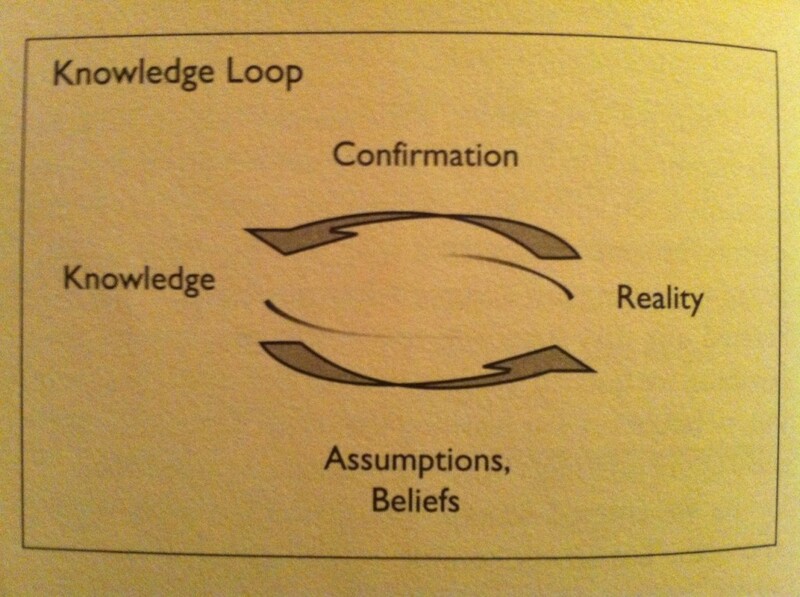 Stauffer continues on to conclude that an innovative leader thinks in a clockwise motion around the Knowledge Loop, the aforementioned conditioning teaches students to base their decisions on knowledge, and not imagination – what he refers to as counterclockwise. If my undergraduate degree at Skidmore College taught me anything, it was that “Creative Thought Matters.” As an individual I cannot simply accept another man’s word based on knowledge. If my imagination is leading me to assume an alternate conclusion to a hypothesis than knowledge may assume, why not test the theory? I don’t mind cleaning up macaroni off the kitchen floor. I’m going to drop the spoon. Are you?